We are planning to give away our 20 tickets for free for the following concerts and performances at the Palace of Arts, to those Stay as Home cardholder students (two tickets each) who are the first to register at the email addresses below. * (Please note that there are a limited number of free tickets and that with one Stay as Home card only two free tickets are available and only for the same concert or performance). In order to register for the tickets please send an email until 15 October, 2012 to the email address under the chosen concert or performance. 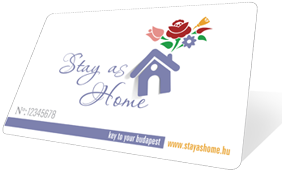 In the email please send us your name and your Stay as Home card number. If you are among the first 10 Stay as Home cardholders who registered for a concert or performance below we will send you a confirmation email a few days later with the details and conditions of taking over the tickets. *We reserve the right to modify or cancel (withdraw) the above offer at any time without prior notice.